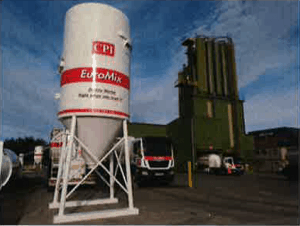 CPI Euromix is the market leader in dry mortar in the UK. Supplying from nine key locations across the country, our silo system has revolutionised the market for dry mix products. Craig Buttenshaw, Head of Operations, explains how the FORS journey has helped play a pivotal role in improving road safety at CPI Euromix. Using our own fleet of specialist vehicles, we make over 50,000 deliveries each year to construction sites the length and breadth of the country. With this in mind, it is cleat why road safety is of primary importance to our business. FORS membership was adopted early at CPI Euromix. As a supplier to many prestigious contracts in the London area, it was clear to us that we needed to be a leader in responsible transport management and not a follower. With the Bronze accreditation came the hard work of fleet improvements across the UK. Starting from a London based accreditation, the lessons learned and improvements made were then rolled out across all of our operating centres across the country. Improvements in vehicle safety, driver safety awareness and in particular the focus on vulnerable road users was invaluable in helping us to reduce the hazards associated with road travel, not only for our colleagues but for all of the other road users we encounter every day. With an aggressive vehicle replacement programme and a willingness spend to upgrade the existing fleet, the adoption of safety equipment across the fleet really saw some great steps to protecting vulnerable road users. We were an early adopter of side scanning and CCTV equipment, helping to protect cyclists and others in every city across the UK. Craig Buttenshaw, Head of Operations says, “Vehicle safety equipment such as side scanners can be an invaluable aid to a highly skilled and safe driver” . The FORS requirement for all drivers to undertake a Safe Urban Driving Training Course that includes on-cycle hazard awareness training has provided us with a great opportunity to ensure the driving team obtain a real understanding of the dangers presented to a vulnerable road user on todays busy urban streets. The change in perspective afforded by this need to get back on two wheels and get up close and personal with the very vehicles the drivers are used to commanding has been extremely well received. Its clear that more consideration is being given to cyclists and others by our drivers, and this is helping to improve the safety not only of these cyclists, but of our workforce at large. 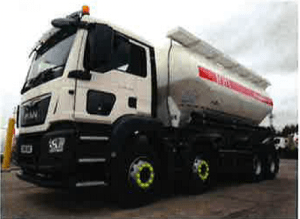 Marc Allen, Operations Manager says, “It is vitally important to see the road from the viewpoint of a cyclist when in control of an articulated powder tanker”. Leading and not following is always important to us at CPI Euromix, and the progression through Silver to Gold status is simply a journey that had to be taken. To improve is to grow, and any improvements that result in a safer journey for all is always going to be worthwhile. Gold status is a symbol of assurance, assuring our customers and suppliers that CPI Euromix is a leader and business that wants to lead the way in safety, compliance, and in its responsibility to be a good corporate citizen. With a focus on safety, the following shows a marked improvement in road safety and performance in the last two years. With the need for improved direct vision standards, all of the latest vehicles introduced in to the fleet are fitted with high vision nearside door windows. This is, coupled with a shift towards chassis cabs designed for the urbane environment, allows us to support our customers in regenerating the city centres across the UK. CPI Euromix have led the dry mortar industry since we introduced the concept 20 years ago, and we continue to lead in terms of fleet management. Our goal is always to strive for excellence, and FORS Gold accreditation is a cornerstone on our never ending journey of improvement.